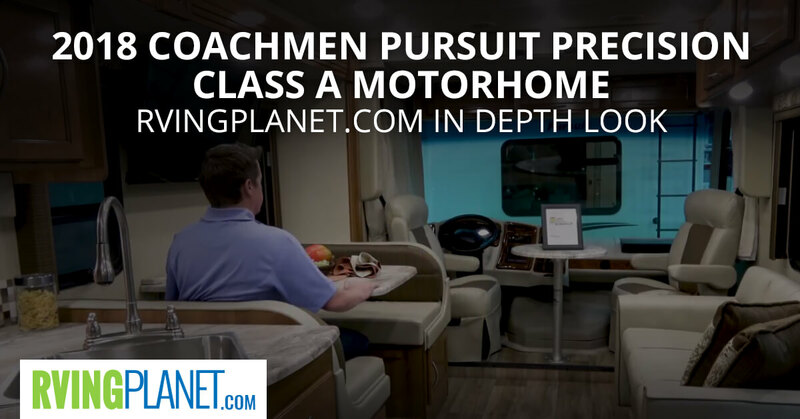 View All Coachmen Pursuit Precision Class A Motorhome Floorplans! Nate: And we’re here looking at the new Coachmen Pursuit Precision. Zac: Hello, my name is Zac Eppers. I work for Coachmen RV, the Class A division. Nate: All right, Zac. So the Pursuit Precision is what we’re looking at, and what would you say makes this brand unique? Zac: Yeah, so what we wanted to do with the Pursuit Precision is introduce some floor plans that were more … as far as some of the features that has that cater more to Millennials and Gen Xers and things like that with some more electronics, but we also wanted to keep these smaller floor plans so they in fit in national parks and other areas. They’re not so large either, what’s also nice about that is the price on them, is more of an entry-level class A coach compared to some of the big 40-foot diesels and things of that nature. It’s just easier to maneuver as well. Nate: There’s lots of RVs on the market, there’s lots of ones that are going to be similar to this. Do you know exactly like how this compares to the competitors? Zac: Yeah, so what we call is the Coachmen advantage, and that’s kind of what we offer. And a lot of that goes into construction. Our walls are two inches thick, a lot of things in the industry at this size and price are only an inch and a half. So you get 33% more insulation in there, which is great for the winter time and the summertime. But also we use a totally woodless sidewall; we use a sidewall called Noble select which has a three-year warranty. A lot of things in the industry are only a year warranty. So the fact that we have a three-year warranty, three times the warranty of what a lot of other manufacturers offer. Nate: So you’re saying that’s one of your favorite features? Zac: Yes, that is a huge feature on Pursuit Precision. Nate: If you had to choose two more features that are your favorite, what would they be? 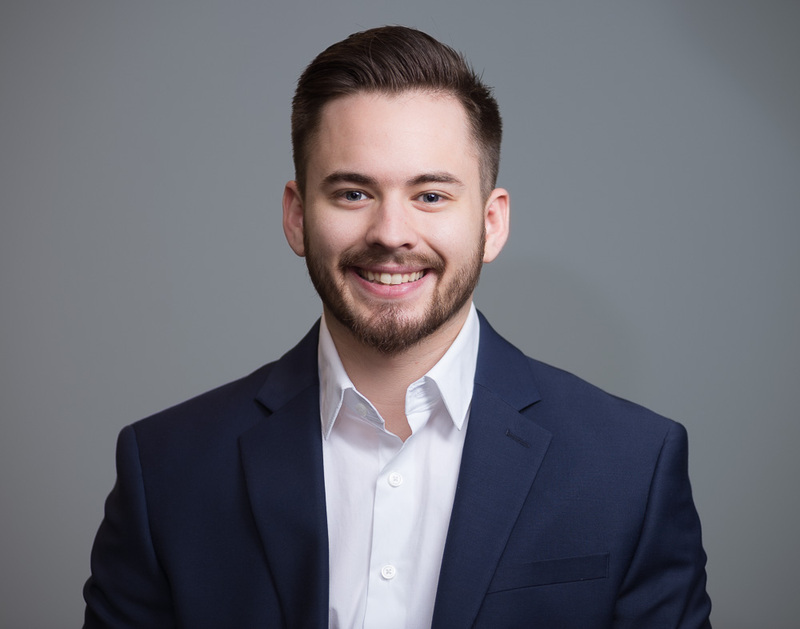 Zac: Another thing I like to I like to mention that we do a Coachmen is we are a Ford certified manufacturer. And one thing we do a great job at is having a longer wheelbase in a lot of our models. So that longer wheelbase basically you have a smaller overhang, and why that comes into play is because a lot of coaches that have the shorter wheelbase, they have a large overhang. It works just like a teeter-totter. You get so much weight on the back that once they lift up the front end, that’s where you have less friction between the tires and pavement, you feel like floating down the road. Coachmen, we use a longer wheelbase, we like to say an elongated wheelbase. So you have basically more length in between your two axles, smaller overhang. But because you have more length in between your two axles you’re also going to have more weight. So having more weight in between your two axles, you have more weight on the front, just better stability. So when you’re driving down the road you’re not fighting it as much, you’re not going to be drifting. It’s just a much smoother ride, and half the fun of these things is driving them. Nate: If you guys want to check out the Pursuit Precision you can head over to rvingplanet.com.